When you think of techwear, your mind might go to the movies Tron or Blade Runner, but in reality, techwear is all around us, and you probably wouldn’t know it if you passed it on the street. But just what is techwear? It’s clothing for everyday life that’s made with customized fabrics, construction and design properties that let your body breathe, move and live in comfort. Some techwear even shields you from extreme weather, including wind, rain, snow, sleet, sun, and cold. Check out these fashionable, functional next-gen pieces. This isn’t your college backpack. It’ll set you back about $750, and its main function is to give max protection to a laptop up to 15 inches wide. 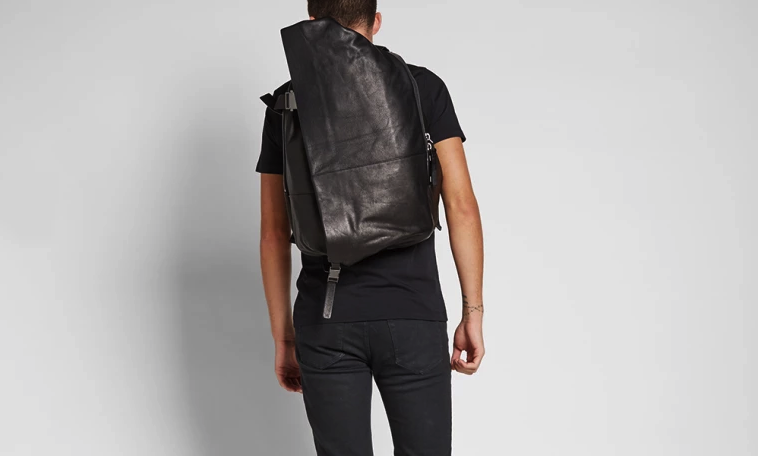 It’s made of black Italian leather and has heavy-duty metal hardware and padded straps that adjust to fit you perfectly. The rucksack measures 12 X 18 X 2.5 inches and has an external document compartment and two internal pouches. Leave it to the Swiss for their namesake minimalist, precision style. This modernized trench coat comes in men’s sizes small through extra large and features multiple front closures help you adjust to varying levels of cold as needed. It’s made of GORE-TEX fabric, which is waterproof, windproof yet breathable. It features a gravity pocket, four outer pockets, a removable hood, a two-way zipper closure, and a collar dock. The coat retails for about $1,500. Techwear isn’t just for outerwear. Nike’s training tights are made of special sweat-wicking fabric that also offers four-way stretch for comfort and support. The tights have flat seams, and the mesh fabric breathes so you can too. Ideal for wearing under long shorts, they’re available in size small through 4XL tall and in white, grey and black. They retail for $35.